Every valley shall be exhalted , a setting by Charles Jennens, was composed by George Frideric Händel in 1741 and premiered in march 1942. This aria takes place in part I, scene 1 of the Messiah. Handel had been living in England for almost three decades when he decided to compose the Messiah in 1741. Until then, he had mostly written Italian operas and had only just started composing in English. Written in twenty-four days, the oratorio was premiered six months later in Dublin. Despite the king’s satisfaction (he even, stood up during the Alleluia to express his admiration), the oratorio had to face scandal, as many believed it to be inappropriate music for contemplation and prayer. It became a huge success in London only years ‘after, around 1750. Every valley shall be exalted is part of Part I of the Messiah, which focuses on the birth of Jesus Christ. It is the third aria of Scene 1 which is centered around the prophecy of salvation. This aria sets the verses from the book of Isaiah, every valley shall be exalted. The vocal line is full of word painting: the word “low” is set in the lower register of the voice, the word plain is painted by a long note while exaltation is suggested by long virtuosic coloraturas. Handel achieves in composing a uplifted, joyful aria to announce salvation for mankind. Every valley shall be exhalted originated was composed by George Frideric Handel . The original lyrics are in English. The melodious note arrangement of Every valley shall be exhalted ranges from pianissimo (very soft) mellow notes to forte (loud) notes carrying the player and the audience through an array of vivid emotions. The sweet soft beginning of the music piece gradually increases and decreases the loudness in smooth transitions. This music piece is decorated with phrases, slurs and an arpeggio. A perfect composition for piano players to try with an intermediate knowledge in music. Students can make use of this sweet music piece to improve their knowledge in music expressions, ornaments and sight-reading, while all music lovers could enjoy this brilliant extract whole-heartedly. Every valley shall be exhalted sheet music produced by Lyribox is clear, precise and is transcribed in English by Lyribox. By purchasing Every valley shall be exhalted sheet music from us, you can simply sing along as you play this masterpiece on your piano. Unlike many sheet music sold online with all black notations, sheet music we offer you is marked using three distinct colors. While piano notation is illustrated in black, the music expressions and the lyrics are given in red and blue respectively. Get Every valley shall be exhalted by G. F. Handel sheet music from Lyribox today to enjoy and share this wonderful music composition with your friends and family. Every valley shall be exhalted piano accompaniment is offered by Lyribox is mellow and smooth. It feeds the poem an underlying pulse, adding a sense of propulsion to it. Meanwhile the vocal line flows in a dreamy leisure manner forcing the audience into a calming and languid mood. 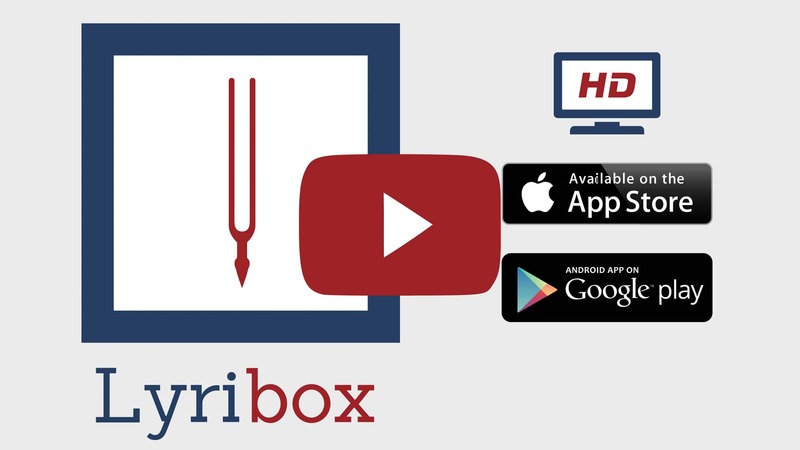 The vocal line of Every valley shall be exhalted by Lyribox has the potential to provide slight pitch support for the voice’s sometimes unusual intervals, enhancing the fullness of it. This accompaniment is not at all demanding. Using these rich Every valley shall be exhalted accompaniments you could create one of the most brilliant performances that is pregnant with layers and layers of expressions. Purchase the Every valley shall be exhalted piano accompaniment together with the vocal line accompaniment from Lyribox today!